When I heard about the road routes of Ohio’s Windy 9 I knew I had to get my map and head out to ride. 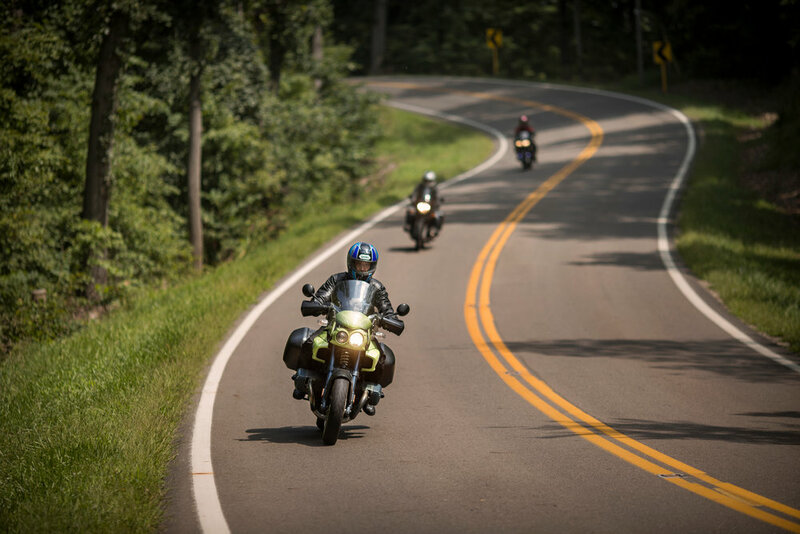 Nine curated motorcycle routes, promised to be the best in the region, through the hills and valleys of southeast Ohio. Sounds like a rider’s dream. And it is. From the twists and turns of the Triple Nickel Route to the views of Wayne National Forest and Burr Oak State Park on the Rim of the World, these roads were made for riding. I expected thrills and I got ’em. What I wasn’t expecting was the quality of the “rider’s fuel” along the way. I went to Athens to ride the Windy 9. And when I go back, it will, in large part, be for the food! The first route I rode (and probably the most exciting of them all) was the Triple Nickel. Well known in riding circles, the curves of State Route 555 are meant for thrill seekers. 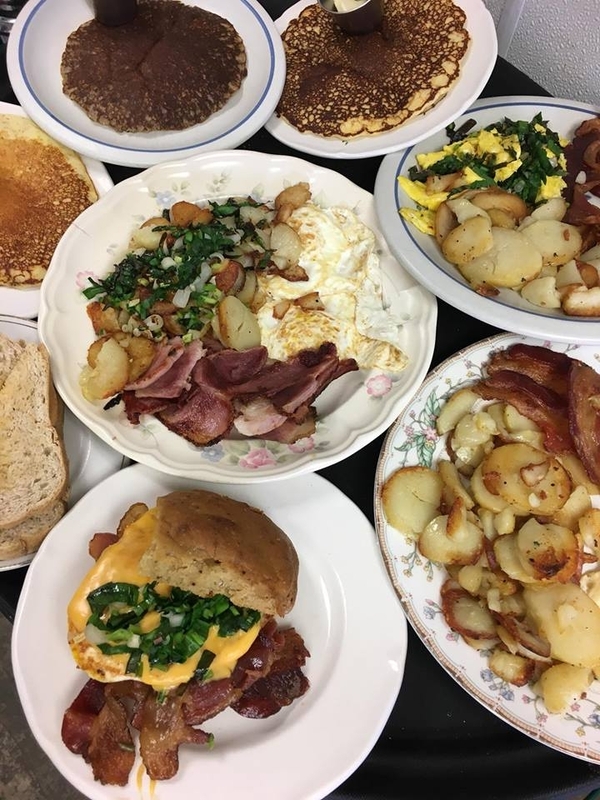 To fuel up for the ride, I stopped at the aptly named Triple Nickel Diner. It’s a friendly place with delicious, locally sourced food. They deliver hearty portions with seasonal ingredients and pie that will knock your boots off. If you find yourself there during breakfast hours, you’ll leave full and happy; I know first hand. Can’t wait to go back for dinner. The shortest route on the Windy 9 is the Zaleski Zipper. Great for a short ride or an all day, leisurely ride, taking time to stop at the many sites along the way. The route winds through Lake Hope State Park; a spot definitely worth exploring. Take a break from the bike at Lake Hope Dining Lodge; a casual spot with outstanding views of the lake. They serve hickory smoked, real pit BBQ, wood fired pizzas and much more. The hand-cut, locally sourced steaks are out of this world. Seasoned and cooked to perfection. Save room for dessert; the Lodge S’more is a toasted house-made marshmallow, over a house-made graham cracker with melted chocolate, of course. It’s big enough to share… but I didn’t. The Ohio River Scenic Byway makes up part of The Southern Dip. Riding through the river towns is a bit like riding through history. It’s a route worth taking slow. Slow to a stop at the Wild Horse Cafe for a taste of the southwest right on the Ohio River. Ribs, burgers, pastas and seafood make up a big part of the menu. And it’s all tasty. It’s a place popular with locals and travelers alike. Go there for dinner, grab a brew, and enjoy the scenery. Make sure to ask about their dinner specials. The Black Diamond Run is another route rich in history. It takes you through the Little Cities of Black Diamonds as a nod to the region’s coal heritage. Ride through turn of the century mining towns along the run. Stop in New Straitsville to see Robinson’s Cave; the birthplace of the United Mine Workers. On the return trip, I stopped to eat at the Rocky Boot Grill, inside the Rocky Outdoor Gear Store. I soon learned why this place is famous for their bison burgers. Juicy, grilled perfection is what I call it. The best burger I’ve had in a long time. Riding the routes, enjoying the sights and eating real good, real local food. Can’t wait for another trip to Southern Ohio to ride the Windy 9. Get your map and get on the road.